Most people who tour a potential place to keep their family member while away will look for cleanliness, space available and play areas to name a few items. However, did you know that a facility’s schedule and available darkness at night during the longest sleep period play a key role in minimizing or eliminating stress during the boarding experience? Most dogs require 14 to 18 hours of sleep each and every day. We all have heard of Rapid Eye Movement (REM) sleep where we experience our deepest sleep (and most beneficial). Dogs also experience this but instead of spending about 25% of their sleep time in REM, they only spend about 10% in that state. This is why they need far more sleep than humans do to get adequate rest. 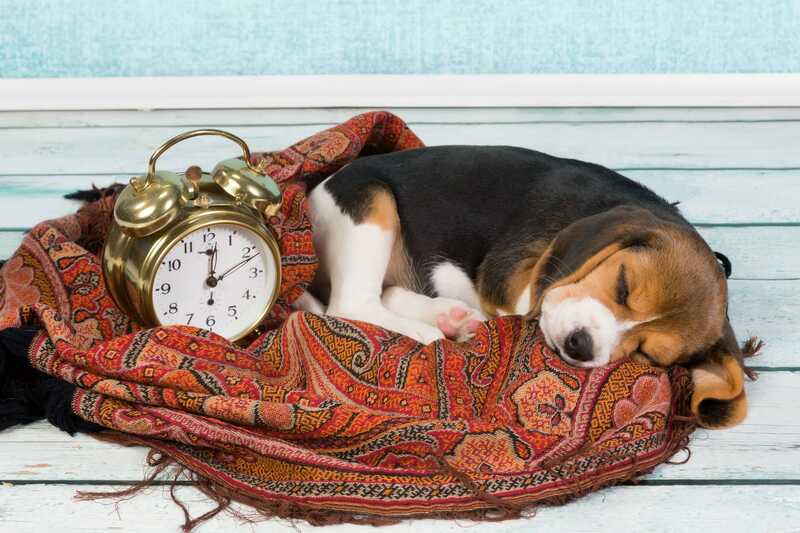 Quality sleep is a must in order for dogs to manage their stress hormones such as cortisol and adrenaline. Like humans, melatonin is released during the sleep cycle and helps protect the body cells and strengthens the immune system. However, if a dog does not have a quiet and dark place to sleep, then melatonin’s production is hindered or prevented. This means a dog can become more stressed, display compulsive behavior and be more prone to illness if a facility does not offer it extended periods of time (8 hours or more) in a quiet and dark area. Be careful when choosing a facility that offers “24 hour care” and is constantly working or cleaning in the facility. Think about how stressed you would be if you were constantly getting up in the middle of the night or someone was walking around outside of your bedroom. At Cinder Hills, all of our guests enjoy at least 8 hours of uninterrupted sleep. With several nap times incorporated throughout the day, your family member will be at their prime when it is time for their next play date!